Second Chances Girl - a Miami family and lifestyle blog! : So We Moved....Again! This post has been compensated by Acorn Influence. All opinions are mine alone. So we moved.....again! I know we moved last year but our landlord sold our apartment back in April and the new owners were kind enough to extend our lease until June 30th. School ended here in early June and I was able to find a new apartment, this time in a rental community (whew!) by mid-June. This pretty much explains why I haven't posted much lately, but if you follow us on Instagram you already knew about all this crazy! 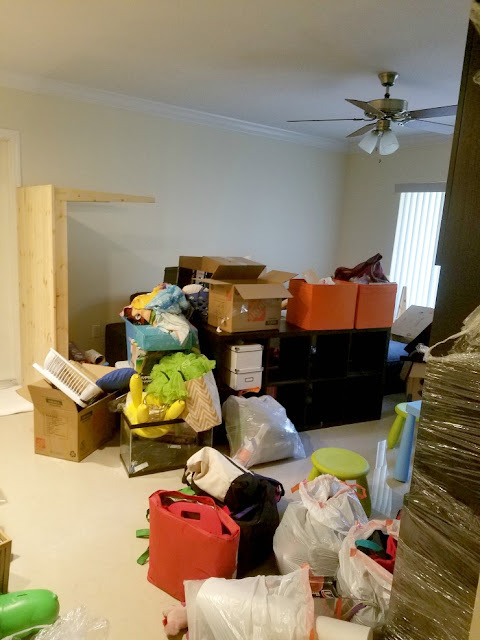 Moving is stressful enough, but add in three kids that are on summer break and a partner who is injured, and I thought I wasn't going to make it! Thankfully, through all our past moves, I have learned some tips and tricks that have helped make moving a little easier! OK, my first tip is to take this time to really get rid of stuff and clothing you don't use/wear. In this move, I donated 11 bags of toys, household supplies and clothes to charity. It's crazy how much stuff I was keeping and the kids have pretty much grown out of everything! 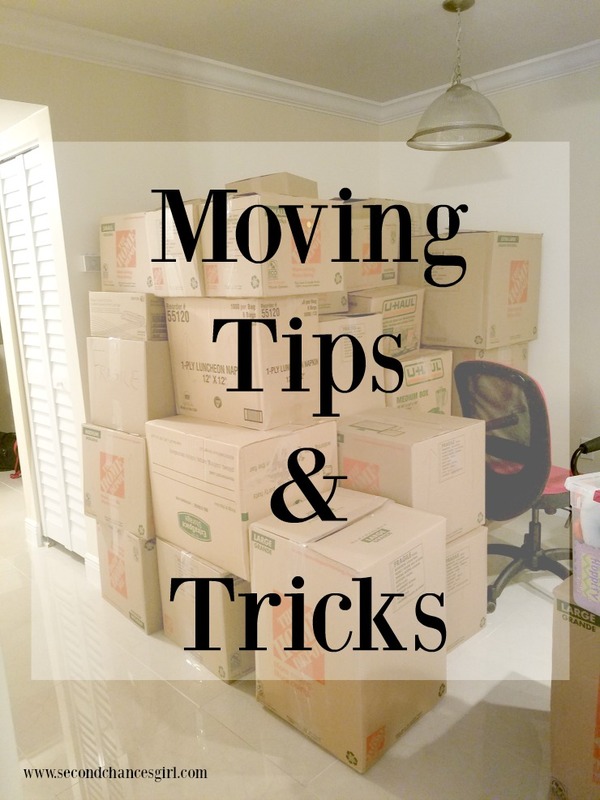 Moving is a great time to declutter! After packing up storage closets and lightly-used items, I pack up the kitchen cabinets. I know some people might think this is crazy, but I feel like our kitchen has the most stuff. It is such a relief to see it all packed up. I do this about 1 week prior to moving. 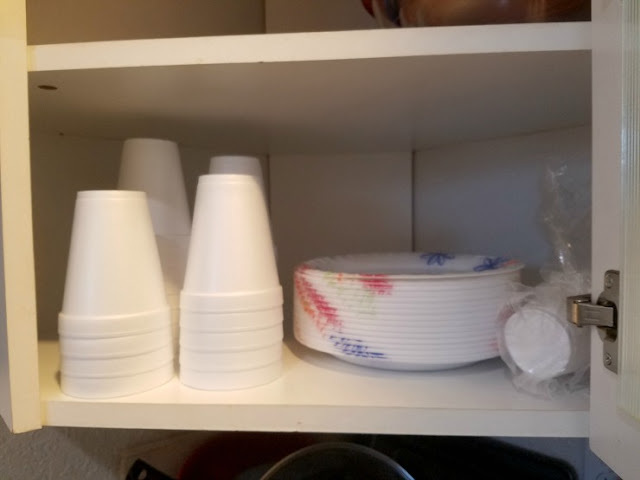 I pack up all plates, utensils, cups and items I rarely use. I leave out 2-3 pots and pans and I set out disposable everything. I am packing, I definitely don't have time to wash dishes. Since I had to be out of our old apartment by June 30, I made sure to ask for an early move-in date at our new place. This is ideal so there is plenty of time to get things out and the old place cleaned up. Since I rent, it is super important to me to get my full deposit back, so I make sure to turn in our apartments super clean. 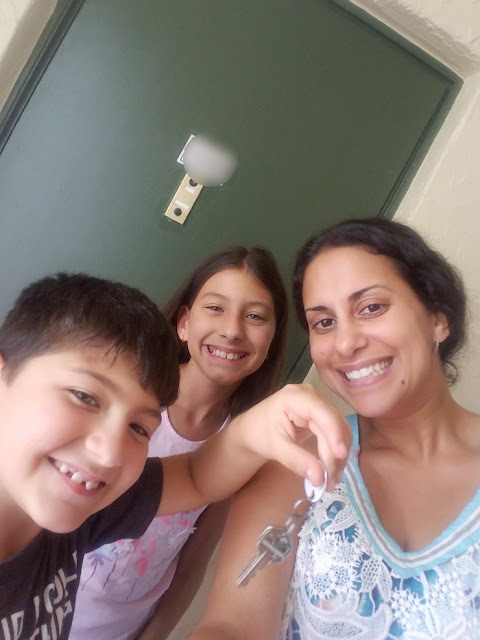 Our kids are super excited about the new place. One big thing for me is to keep life as normal as possible for my family during a move. We continued all our lessons (even on moving day!) and I explain to them what we are doing and where their things are going. I involve them in the packing and in the cleaning. My next tip is to take full advantage of an empty place to clean. Sure, the apartment was clean when I received my keys but it didn't smell like us. I made sure to bring our products in and do a quick clean of the place, that way when we moved in the next day, it would smell like home! Our Swiffer® Wet Jet was the first item in our new home! I have way too much fun cleaning with this thing! After the movers brought everything over to the new place, we worked on getting settled in. TIP: Get the kids room set up first! 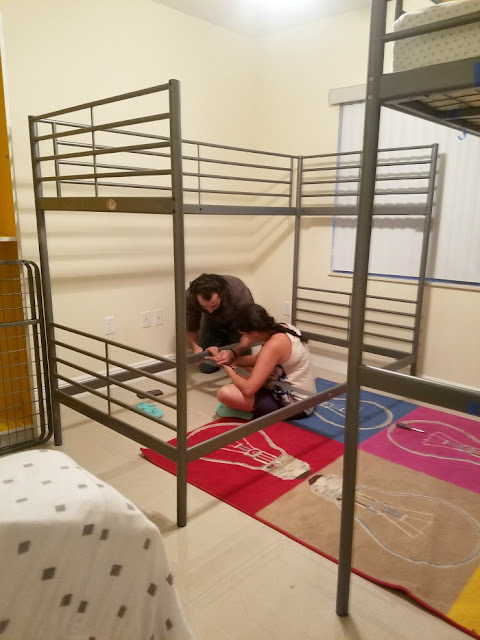 Once again, I want the kids to feel at home as soon as possible, even is that means, letting them stay up late while we assemble their beds. Oh, another TIP: set your cable/internet service to transfer over on moving day so the kids are entertained while you set up their things! On moving day, I also bring in a 1st day essentials box. This box includes everything we might need for our first day at our new place (disposable plates, cups, toilet paper, paper towels, cleaning supplies, etc...) You better believe my 1st day essentials box includes laundry detergent. I have a big thing for smells and I make sure to wash all our bedding and curtains with laundry detergent as soon as we move in. The kids carry their bedding with them during the move and it can get dirty. No one wants dirty, stinky bedding! Moving can be a stressful time, but quality brands like Bounty®, Swiffer®, Tide®, Unstopables™ and Charmin® make your move clean and simple! The next day, we were ready to tackle all the crazy. A couple of hours and 2 dozen boxes later, we had most of the rooms set up (more or less) and we were enjoying our new home. Maybe! At least the rest of our home looks decent and hey, I can always close the door to that storage closet!!! No one will ever know! When you are ready to stock your moving supplies, remember that Walmart has everything your need for moving, for less! After all, moving is expensive enough already!